Chalet Les Pommiers Two is immediately next door to Les Pommiers One and a few doors away from Les Pommiers Five. These chalets are located in the most enviable village centre position – less than 200m from the bottom of the Pleney slopes and just one minute from the village centre. This property is set over three floors with five bedrooms sleeping a maximum of ten. It has the style of a contemporary chalet-apartment rather than a traditional alpine property, but is really well equipped with everything you need. The property has a galley style kitchen which leads out to a dining area with seating for eight people. This leads into a comfortable living area with an open log fire and large french windows that lead out to a small garden area overlooking the mountains. There are five usable bedrooms, two or which are doubles, two are twins and one is a bunk room. There are two bathrooms and two separate WCs within the property, so ideal for those who like a bath as well as a shower after a long day on the slopes! Chalet Les Pommiers Two	standard bookings run from	Saturday	to	Saturday. 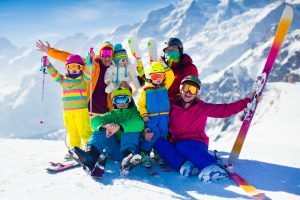 These chalets are located in the most enviable village centre position – less than 200m from the bottom of the Pleney slopes and just one minute from the village centre. Le chalet est très bien placé pour tous types d\'activités (ski, restaurants, piscine, promenade...). Séjour très agréable. Le chalet est bien équipé. L\'accueil est très sympathique. Merci à toute l\'équipe. We had great holiday in Chalet Les Pommiers Two. It is located near the central street with a lot of shops and cafes. But at the same time on the silent street, so it is possible to spend time in peace and quiet. The main lifts is also near the chalet. The chalet is fully equipped with everything you need and is warm and cosy. Ben was always ready to help and answer any questions. This was our fourth stay with Alptitude, the first at Pommiers 2. 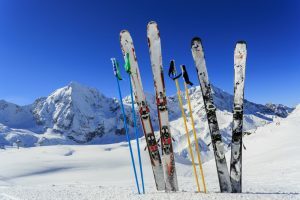 The chalet was clean and well equipped with everything we required, and very close to the ski bus stop up to Prodains, and all the shops and restaurants of Morzine. Faultless organisation and response to our queries from Beth, Ben and Pete. Thanks, we will be back! The chalet was exactly as described so ideal for our group of 7 (2 adults plus 5 twenty somethings) and is well equiped. The living area is great for post skiing relaxation and convivial dining - and the open fire is a real bonus as it creates a lovely, warm atmosphere. 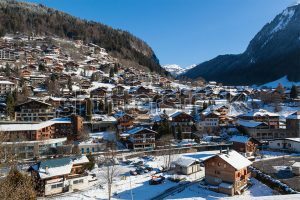 The central location means you have easy access to the shops, bars restaurants and ski lifts of Morzine without anything more than a short walk. Finally we found Alptitude highly efficient, friendly and easy to deal with. Apart from the lack of snow we had a great holiday! An excellent stay with Alptitude again. Pommiers 2 has a great location - an easy walk to the Pleney lift even in ski boots and with a six year old in tow! The chalet is well equipped and a decent size, nicely kept too. Ben and the team organised everything superbly, including supplying a potty of their own for our toddler which is above and beyond. Highly highly recommended.